PPC (Pay Per Click) advertising can be an integral part of any business owner’s digital marketing strategy, however without the relevant experience or know-how, the results can often be difficult to predict. At Studio-40, we understand the importance of making a solid return on your investment, which is why we want to make it simple for business owners to see what they can typically expect to achieve from PPC campaigns. In an attempt to cut through the complex marketing jargon, and to save you the hassle of talking to a pushy digital marketing salesman, we’ve created this simple PPC tool for small to medium sized business owners to use – or for anyone who’s just plain curious! Simply input the media spend (click cost) budget you’re willing to spend, select the industry you work in and let our calculator determine what kind of return you’re likely to see. If you don’t have a budget, we can still show you data for your sector. We’ve written up a fuller explanation here. There’s no obligation to pursue things further either; you won’t receive a follow-up call or an email unless you absolutely want one. 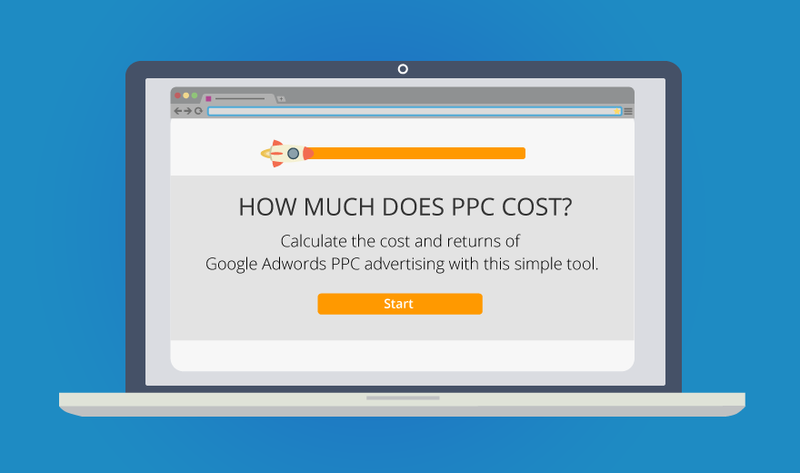 Head over to our PPC calculator now to see what the returns could be for your business.